Paysafe is a voucher that you can purchase both online or at thousands of locations around the world, and you can use it to pay for products or services online. Whoever made a payment with Paysafe so far will agree that it’s one of the safest online payment methods available, since there’s no need to disclose any personal information to use it. Did you know that Paysafe is also extremely popular among punters? Thanks to the instant deposits and increased safety, Paysafe is among the most used payment methods at betting sites. And that’s what we’re going to focus on in the rest of this article. By scrolling down, you will find out how Paysafe works and what are the top Paysafe betting sites in the UK. Paysafe is a very popular payment method across the globe. It was only natural that the top UK betting sites added Paysafe as one of their recommended payment methods. We’ve selected the very best betting sites that offer Paysafe so that you can enjoy a world-class betting experience, with lightning-fast payments and competitive odds. William Hill is one of the biggest betting sites in the UK, as well as the rest of the world. Any payment method present in their banking section is top-tier, however, its presence at the top of the available deposit options list is an extra seal of approval. When you use Paysafe to deposit at William Hill, you are able to claim any bonus offer without a worry. Also, there are no fees associated with the payment so you can use all the funds on your Paysafe vouchers to have a great time. The entire deposit process is extremely fast and secure thanks to the fact that you don’t share any personal or banking details. So, if you want a high-quality and worry-free betting experience, pay with Paysafe at William Hill. As mentioned before, you can use Paysafe to make deposits at all the top betting sites. 888sport is a very good example to back that statement. With millions of users around the world, highly competitive odds and spotless services, 888sport is the equivalent for quality for the betting community. You can use Paysafe to deposit at 888sport and enjoy both their new and existing customer offers. Deposits with Paysafe are instant, which makes it a great payment solution if you want to try your luck with in-play bets. A Paysafe deposit bears no fees, so the amount you have on the voucher will be entirely available in your account. Unfortunately, you can’t use Paysafe for withdrawals as well. Paysafe vouchers do not offer the required conditions to receive money from the betting sites. Once you use the entire amount of a Paysafe voucher, it becomes invalid, and that’s an excellent safety feature as well. Unibet is another excellent example of betting site that uses Paysafe and backs it up as a world-class payment solution for the betting environment. Once you get a Paysafe voucher, you can head over to Unibet and enjoy their exciting offers and a top-quality betting experience. Make instant deposits with Paysafe and back all your favourite teams or athletes without having to worry about security or personal data. Using Paysafe to deposit at Unibet is also a great way to control how much you spend since you won’t be able to deposit more than the value of the voucher. To make your deposit, go to the Banking section, enter the 16-digit Paysafe PIN and your funds will be ready in a matter of seconds. Since betting is a fast-paced activity, you need to be able to deposit as fast as possible. And even though there are several instant deposit methods out there, the difference is made by how fast you go through the steps of making a deposit. When it comes to Paysafe, you have to enter a 16-digit pin, and you’re good to go. Just fill in one field, and your deposit will be on your account one-click away. Another excellent thing about Paysafe is that you get to enjoy all the funds available on your voucher. While other payment methods apply a fee, that’s not the case with Paysafe. Once you go to the store and get the voucher, the specified amount on the voucher will be available in your betting site account. Just make sure that the currency of the Paysafe voucher you get is the same as the one on the betting site, as you might face a currency exchange. We can all agree that it is a must for any online payment method to have a built-in security system since fraud and attacks are quite often. 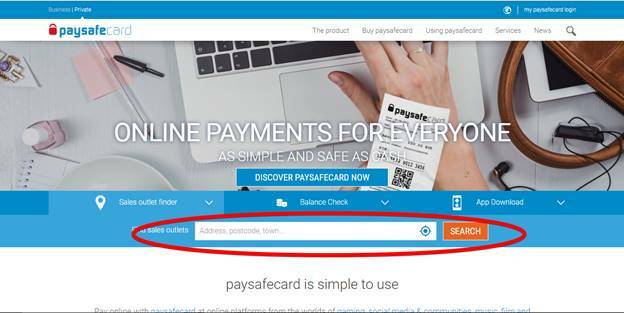 Paysafe offers one of the safest environments for making online transactions. You get your Paysafe vouchers from a store or online, and then all you need to use is the 16-digit PIN. No personal details, no credit card number, no email address, no worries! It’s no secret that no payment method is perfect. If you look closely enough, there’s a good chance you’ll find one or two things that are not that great. The same applies to Paysafe, with the major drawback of not allowing withdrawals to be paid. We’ll look further into that, as well as into other disadvantages in the following section. Even though it offers many benefits, the fact that Paysafe can only be used for deposits is one aspect that may keep punters away. Most punters prefer to use the one payment method for cashing out as well as depositing However, if you’re comfortable with choosing a different way to cash out your funds, then there’s no reason not to use Paysafe as a deposit method. The Paysafe vouchers come in fixed amounts of £10, £25, £50 or £100. While these are the most commonly used deposit values for punters, it may turn into a disadvantage for Paysafe. For example, if you want to deposit £40, you can use a £50 Paysafe voucher, but then you get £10 left. This could be a drawback because some betting sites have a minimum accepted deposit amount of £20, making your Paysafe unusable. Also, the fact that Paysafe comes in predetermined values can raise another problem. If you’re the type of punter that deposits £500 in one go and decide to use Paysafe, you’ll have to get 5 of the £100 Paysafe vouchers to complete the deposit. This translates into entering five different 16-digit PINS to complete your transaction. Now you know what Paysafe is, its ups and downs, as well as what are the best betting sites in the UK to deposit with it. However, this wouldn’t be a complete payment method review if we didn’t offer a step-by-step guide on how to deposit with Paysafe at an online betting site. After clicking on “Deposit” you are redirected to the Paysafe page where you have two options. If you have a physical voucher, you can type the 16-Digit PIN directly. Alternatively, you can login to your Paysafe account and use a digital voucher to make your deposit. In case you don’t have a Paysafe account and you wish to create one, click the “Register” button and follow the steps there. If your Paysafe PIN is valid for the selected amount, the deposit goes through, and you can start betting. As previously mentioned, there are several ways you can get a Paysafe PIN. The most popular way is to go to an authorised seller and buy one with cash. There are thousands of shops all across the world, and you can also use the Paysafe website to locate the closest one to your location. Simply enter your location on the Paysafe website, and you’ll find the nearest store. If you don’t want to leave your home, there’s the alternative of buying Paysafe online. 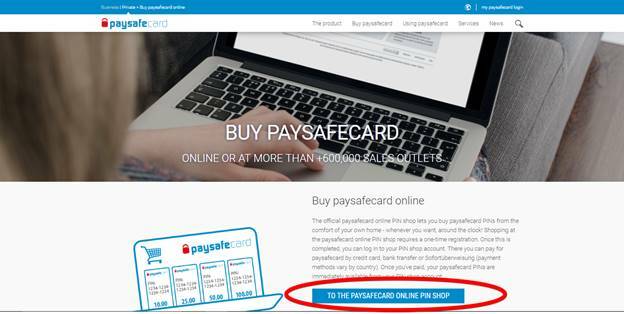 Access the same Paysafe website and press the “To The Paysafecard Online Shop” button. You’ll have to create an account at WKV to be able to buy online. Once you create the account, select the preferred method of payment, and you’re good to go. You can use all the payment methods mentioned above for withdrawals. Moreover, you are guaranteed instant deposits with no fees. However, the access to some of the alternative payment methods might be restricted in certain territories, while Paysafe is available all over the world. Can I Use Several Paysafe Vouchers to Deposit at Betting Sites? Yes, if you want to make a larger deposit at an online betting site and have several, smaller-value Paysafe vouchers, you can combine them. On the banking page, you can choose to enter a new PIN, and you will be able to make a single deposit to claim the bonuses you prefer. I Have a £100 Paysafe. Can I Make two £50 Deposits? Of course! You can use a Paysafe PIN several times as long as the balance of the Paysafe allows it. You can make two £50 deposits or five £20 deposits; the choice is yours. Also, you can check the remaining balance of a Paysafe voucher on the website. What Can I Do If I have a £10 Left on a Paysafe and the Minimum Deposit is £20? In this given situation, you can either get another £10 Paysafe and combine them on the banking page of the betting site or wait for a promotional offer that accepts a lower deposit. One way around it would be to ask support for a deal on a lower deposit. What should you know about Paysafecard?